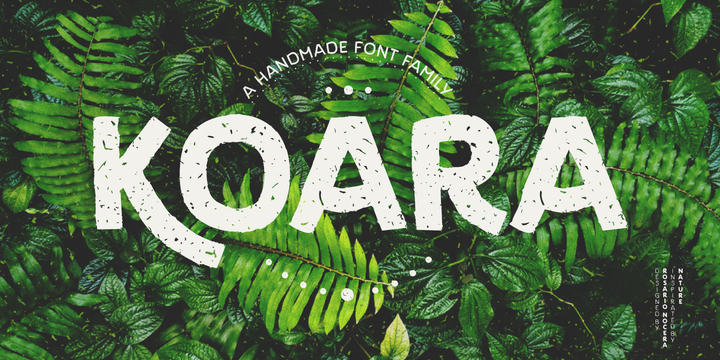 Koara is a handmade typeface created & published by Rosario Nocera which was inspired by nature. It is available in two version each with three weights, useful OpenType features and multilingual support. It is ideal for typograpghic purpose, large headline but also for small paragraph. Enjoy! Price: all 6 fonts for only $118,00. A font description published on Wednesday, September 20th, 2017 in Fonts, Rosario Nocera by Alexandra that has 2,503 views.